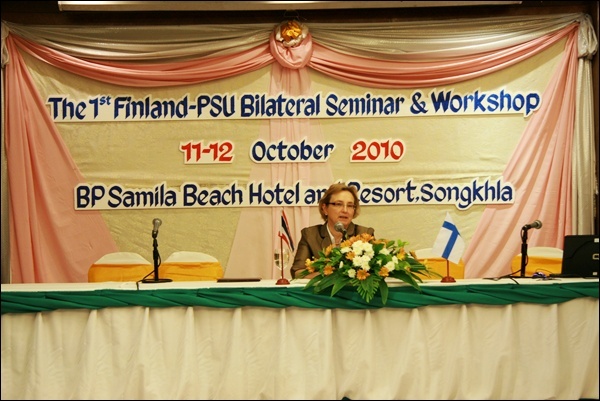 Prince of Songkla University organized a Bilateral Seminar and Workshop on Bioenergy among Finnish institutions and PSU, from October 11-13, 2010. There were three Finnish institutions participating in this event, namely, VTT (Jyväskylä), Jyväskylä University, and MW Power. Moreover, two MOU exchanges between PSU and VTT, and between PSU and the University of Jyväskylä took place on this occasion. For the opening ceremony of the bilateral seminar, H. E. Ms. Sirpa Mäenpää Ambassador of Finland, and Associate Professor Dr. Boonsom Siribumrungsukha, PSU President, addressed welcome speeches to all participants. 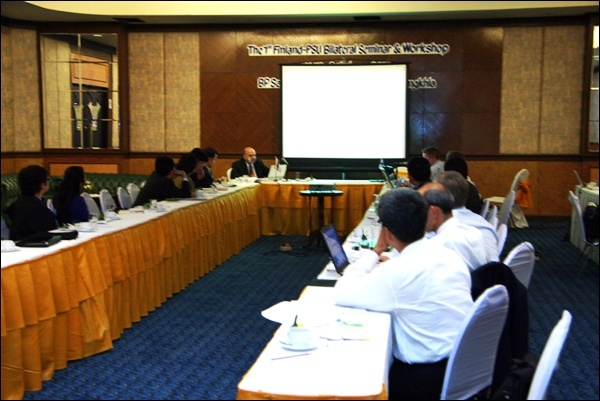 The discussions and presentations during the Bilateral Seminar and Workshop concentrated on Energy Plan and Bioenergy in Thailand, Energy Strategy and Role of Bioenergy in Finland, Bioenergy Researches and Projects at PSU, Biogas and Biomass, etc. In addition, the group discussions allowed the participating institutions to agree on collaborative research projects among them. On the last day of the seminar and workshop, all participants had the chance to visit specialized laboratories at the Faculty of Engineering of PSU.